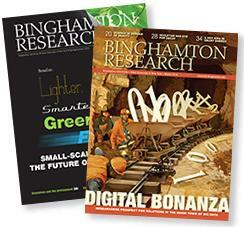 Binghamton University will celebrate research with a series of events on April 8-13, 2019. Faculty members, academic departments and programs and student groups are invited to plan events related to research. The schedule will include open labs, seminars, poster sessions, tours, speakers and more. Faculty members are encouraged to take several minutes during class on one of those days to introduce themselves as scholars. You! Whether you're a faculty member, an undergraduate or graduate student, a postdoc or research assistant, a prospective student or simply a curious resident of Greater Binghamton, we hope you'll participate. The schedule is still taking shape, but there will be open labs, seminars, tours, speakers and more. Two large student poster sessions are planned. Yes. 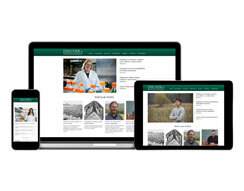 Faculty members, academic departments and programs and student groups are encouraged to plan events related to research. E-mail Rachel Coker at rcoker@binghamton.edu for more details.